The ultrasonic waves also create heat and vibration to give a pleasant massage which will drive creams and ampoules into the skin. While muscle is heated and the tissue of skin is activated by ultrasound vibration and ultrasound wave, wrinkles are removed and the muscle is relaxed. The pimples in pores are instantaneously emulsified by the ultrasonic wave and cleared away painlessly. Inductive design, the treatment probes only get working when touch skin, intelligent and energy-saving. To cooperate with us, there are always opportunities to explore the broad range of exciting products. We have cooperated with many companies and some famous brands all over the world. 2. Resove the black pigment: Use the ultrasonic and nano technology to work in deep skin to 3-7cm, to remove the dirt thing inside the skin. 3. Smallen the pores, skin whitening: soften the curtin, and the elasic skin will appear again. 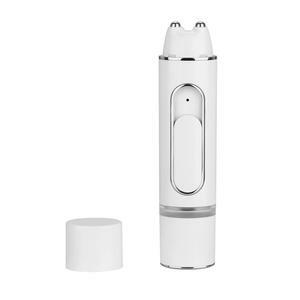 Characteristic: 1.high frequency ultrasonic vibrations, 2.shovel-type probe, go deep into the skin by 3-7cm, 3.Convenient for use with rechargeable style. 3. 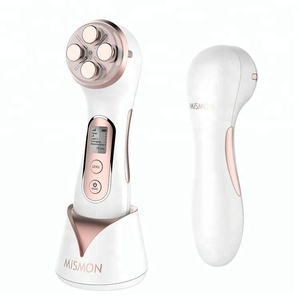 Treatment Direction - - Multi-function home use ultrasonic photon beauty device physical therapy equipments with auto timer Remove the makeup and cleanse the face. 3. Move the treatment head of the beauty device around your face in circle following the formation of the muscles. Do not submerge the device in water and do not use in a damp loctation or while bathing or swimming. 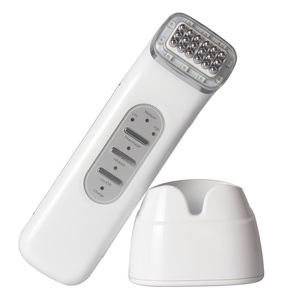 BPM0152- Home use led photon therapy facial beauty equipment remove spot Brief introduction for Home use led photon therapy facial beauty equipment remove spot: BPM0152 ultrasonic facial beauty equipment is multifunctional. 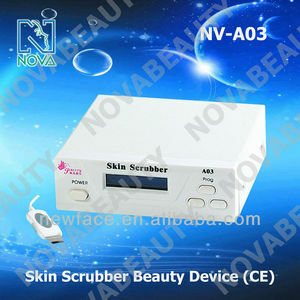 * Positive ion & Negative ion for skin lifting, tightening, deep cleansing etc. * The combination of different technology gives you a better skin care result. 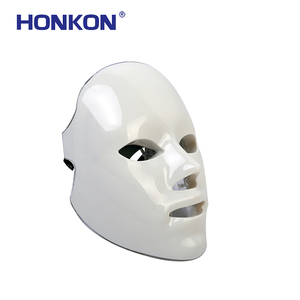 1 YRS Changchun MHR Trading Co., Ltd.
High efficiency of fractional radiofrequency aesthetic radio frequency device,multipolar machine The Eyes Hooding,fine lines and even our brow line can make us look worn-down. Your face is also the area of your skin most exposed to the elements, bearing the brunt of environmental factors like sun damage. Fractional RF is a non-invasive way to smooth the skin on our bodies and even temporarily improve the appearance of cellulite . When our skins approach the ion light gathers on the touch points(or surface) from inside of the plasma,so the luminous efficacy is strengthened immediately. Our skins elasticity is increased during the process,and is brought back to the shine. 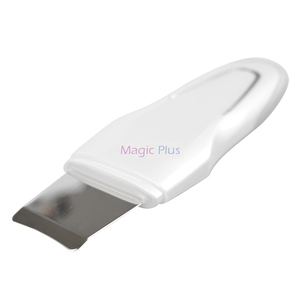 Moreover, the ultraviolet radiation in the light can disinfect, quickening the wound healing. Since our foundation, we have introduced advanced production technologies and equipment. It takes about 5-9 working days by air transport while customer has to pick up the goods at the destination airport. Please do consult your local department to check the duty before place the order. Press once it is low intensity with "Ion+" for cleansing. Press once it is low intensity with "Ion-" for nutrition. Press twice it is high intensity with "Ion- & Ultrasonic". 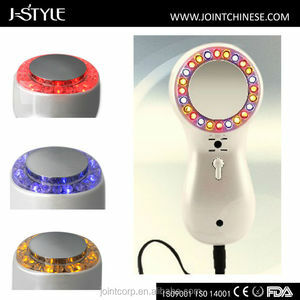 Alibaba.com offers 139,369 home use beauty equipment products. About 73% of these are multi-functional beauty equipment, 6% are laser beauty equipment, and 3% are other beauty equipment. A wide variety of home use beauty equipment options are available to you, such as multi-function beauty equipment, rf, and laser. You can also choose from free samples, paid samples. 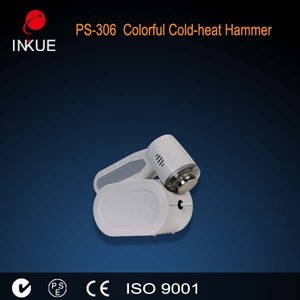 There are 139,369 home use beauty equipment suppliers, mainly located in Asia. The top supplying country is China (Mainland), which supply 100% of home use beauty equipment respectively. Home use beauty equipment products are most popular in North America, Western Europe, and Domestic Market. You can ensure product safety by selecting from certified suppliers, including 20,478 with Other, 15,133 with ISO13485, and 8,277 with ISO9001 certification.